How Long Does It Take A Hoof Abscess To Heal? A hoof abscess can cause your horse to become suddenly and dramatically lame. Hoof abscesses occur when bacteria gets into the hoof tissue through a puncture wound or by making its way into the white line between the exterior and interior of the hoof. Bacteria can be brought into these breaches in the hoof through dirt, manure and other foreign matter that makes its way into the openings. When this happens, the hoof tissue becomes inflamed and infected and the hoof is put under pressure through the development of pus. With the passage of time, the abscess will eventually burst on its own. This can sometimes happen within a period of a couple of weeks or month. In some instances, abscesses can drag on for a long time and cause your horse a great deal of pain. In this article, we discuss abscesses, how you can prevent them, how long for hoof abscess to burst, and how you can treat them. Read on to learn more. How Do You Prevent Abscesses? To prevent your horse from developing an abscess, you must be vigilant on several fronts. You must feed your horse a diet that will not predispose him to laminitis, because this weakness of the hoof can open up the white line in the hoof wall and make your horse susceptible to abscess. You must keep your property free of nails and sharp rocks and other debris and hazards that might puncture the sole of your horse’s hoof or damage the hoof wall. Be sure your horse is not constantly standing in water or on very hard, dry ground. Both of these conditions are very hard on hooves and can cause breaches in the exterior of the hoof that will allow bacteria to enter. You may wish to use hoof conditioners such as Keratex to toughen up the sole of the hoof during wet weather. When the weather is very dry, switch to a softener and moisturizer such as Corona or Hooflex. 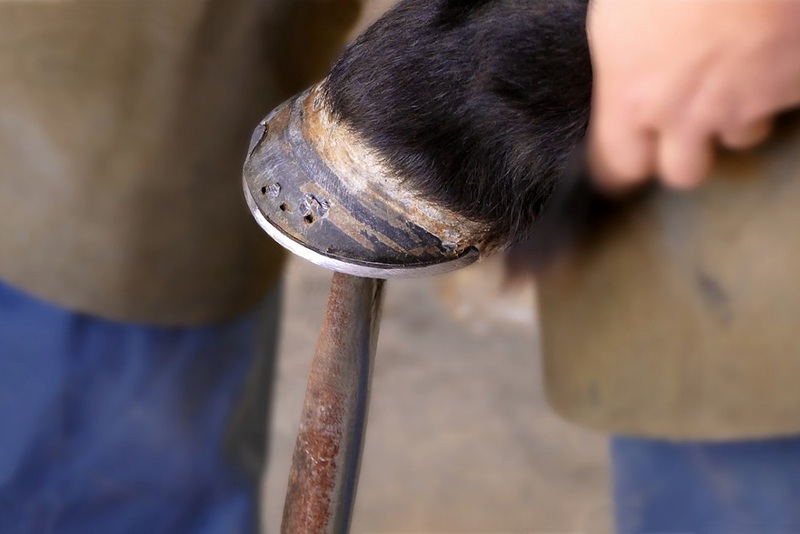 You must use a qualified farrier who will trim your horses hooves properly and apply traditional shoes correctly if you choose to use these. Keeping your horse barefoot and/or using glue on shoes or hoof boots will help prevent breaches of the hoof that can lead to abscess. How Can You Tell If Your Horse Has An Abscess? If your horse is lame, suspect an abscess. Familiarize yourself with your horse’s normal pulse by placing your fingers lightly on the back of the fetlock, behind the pastern. You’ll feel some cords of tissue that run down each side of the horse’s leg to the hoof. Lay your hand lightly over these cords and you should be able to feel your horse’s pulse. Become familiar with his normal pulse so that you will know when the pulse speeds up. Horses with abscesses tend to have a very quick pulse. Additionally, become familiar with the normal temperature of your horse’s hooves by feel. If your horse has an abscess, his hoof, pastern and fetlock areas will feel hot. If the abscess is on one side of the hoof, that side will feel hotter than the other. If you suspect abscess, call your vet or your farrier. This professional will use a hoof tester to determine exactly where the abscess may be located, and he or she can then remove any foreign objects, lance the abscess and drain it. Not all abscesses are easy to find. Very deep abscesses may not produce specific pain responses when a hoof tester is used. When this is the case, the abscess may go undetected for quite a while and may then rupture along the path of least resistance. When this happens, you may notice heat and swelling on softer hoof areas such as the bulbs of your horse’s heels or the coronary band. If left unattended, the abscess will rupture in one of these swollen spaces and drain on its own. This is not desirable. An abscess that bursts and drains on its own is likely to become even more infected and the infection may spread. If your horse is very lame and you’re not able to detect an abscess or other problem with simple diagnostic means, you may need to have your horse’s hoof x-rayed to determine exactly what the problem is. If you and your vet or farrier determine that your horse has an abscess, you may wish to soak your horse’s hoof. You can fill a shallow basin with warm water, a cup of Epsom salts and a couple of ounces of Betadine to clean and soften the hoof and encourage controlled drainage of the abscess. You may need to soak the hoof daily for five days for sufficient softening and to draw the pus out. Another option that used alone or in conjunction with soaks is to use a hoof poultice. You can make a hoof poultice for your horse using one of several different types of medications held in place by a disposable diaper taped on with duct tape. 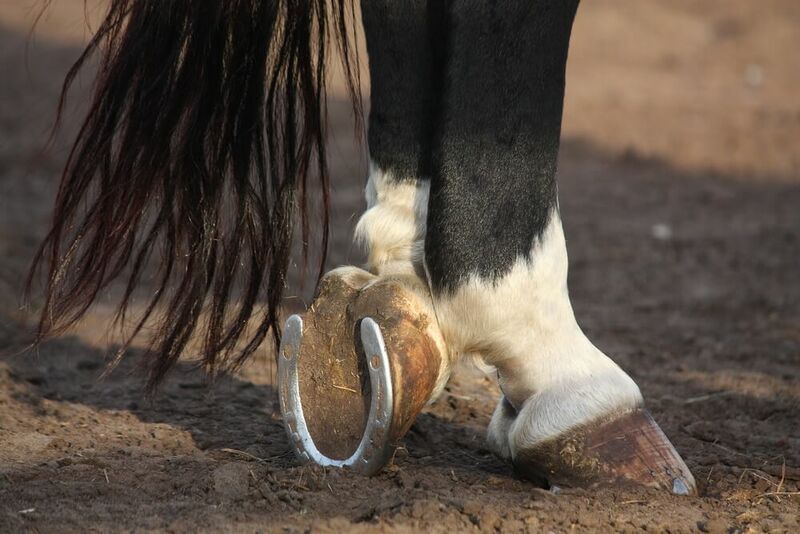 While this may sound a bit improvisational, but the fact is this is one of the best ways to medicate your horse’s hoof and protect it when dealing with abscesses and a number of other conditions. Using the poultice method concentrates treatment precisely where it’s needed most, helps draw the pus from the abscess and pads and protects the hoof against further damage and contamination. When applying a poultice, be sure to have all of your materials ready and close at hand. Pack the horse’s hoof with the ointment or drawing agent and cover it quickly with the disposable diaper. You’ll be surprised to see how easily and naturally this fits over your horse’s hoof. Use the tabs on the diaper to hold it in place while you apply duct tape to secure it more thoroughly. Have your duct tape ready and precut so that you can apply it quickly without having to pull it off the roll. It’s a good idea to make an asterisk or star of duct tape using four to six strips of tape long enough to cross the sole of your horses foot and extend up the hoof wall by an inch or two. Slap this onto your horse’s hoof and secure it in place and then wrap a longer strip of duct tape around the outside of the hoof wall to hold the whole thing together. This treatment will hold the poultice in place for a day or two. Don’t leave it on for too long as, just like a bandage, it should be changed and the wound cleaned regularly. 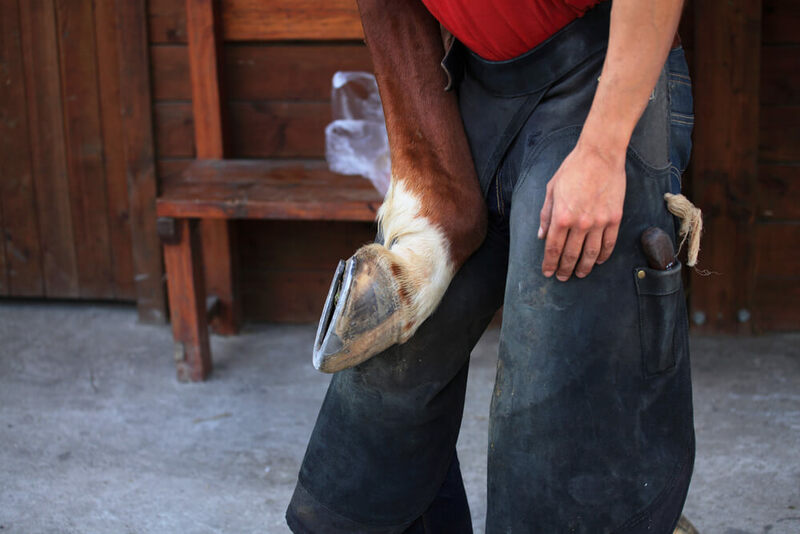 If all goes well, after a day or two you should be able to remove the poultice, drain and clean the hoof and then cover it again to keep it clean while it heals. Once the abscess has been drained, clean it thoroughly and then apply tea tree oil. This natural antiseptic assists healing and will help protect the injury from further contamination. Naturally, you should also cover the injury and clean it daily until it has healed completely. Some horse owners have good luck adding homeopathic remedies to their arsenal, and there is no harm in using these remedies in conjunction with prescription and over the counter salves, poultices, soaks and the like. One homeopathic remedy called Silicea 30 has had some good results. Try adding about half a teaspoonful (or six or eight tablets) to your horse’s feed once a day for a week. This may help the abscess come to a head so that it can be easily drained. It is possible that an abscess could last for a very long time. Common abscesses are like cysts or pimples. Pus develops in one location, pressure builds and the abscess either bursts on its own or you lance and drain it, treat it and then it heals. This is especially true of abscesses caused by a puncture wound or poorly placed nail at the time of shoeing. In some situations, bacteria enters the hoof through a crack. 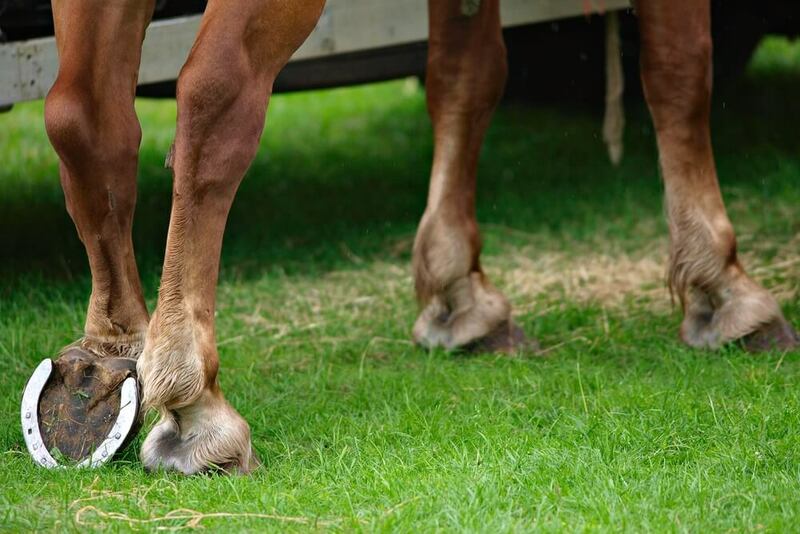 If your horse’s hooves are in poor shape or if there is a gap at the white line, contamination may cover a long, thin area and may shift as time passes. This kind of injury is very difficult to treat because it’s very hard to eliminate all of the contamination at once. 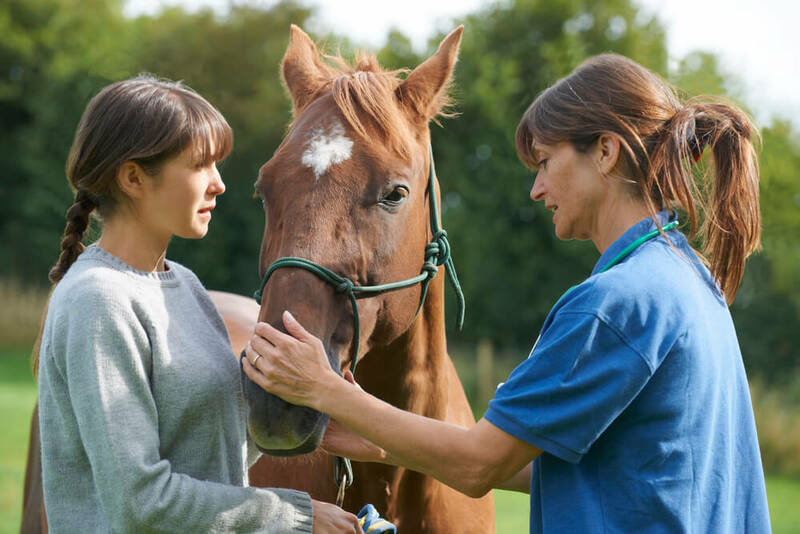 In this sort of situation, an abscess may form and cause lameness and drain, and your horse may seem to be sound again. Then before you know it the abscess reforms and you have to start all over again. When this happens, you must be extra diligent with soaking and treatment. One of the best products to use on persistent and difficult abscesses is a black salve called Iccthamol. If you try all of these things and your horse’s pain continues beyond a month or so, have your horse’s hoof x-rayed. Do this even if you had it x-rayed initially because the problem could be a cracked coffin bone rather than an abscess. Sometimes these cracks do not show up on an x-ray because they’re very fine and small; however, after a month of healing, a little bit of scar tissue will have developed on the coffin bone and you will be able to see the injury using x-ray. If you are not able to locate the injury in this manner, you may need to have your vet perform an MRI or ultrasound.